I bought these lovely figs at a farmer’s market in Boston today, next to where I was doing a show. They looked pretty nice sitting in one of my handmade bowls on my craft fair table – for safekeeping until I got home. They tasted pretty good too. I love Farmer’s Markets this time of year. The figs look great, be ready to fill your bowl with apples soon fall is coming. Thanks Darleen! 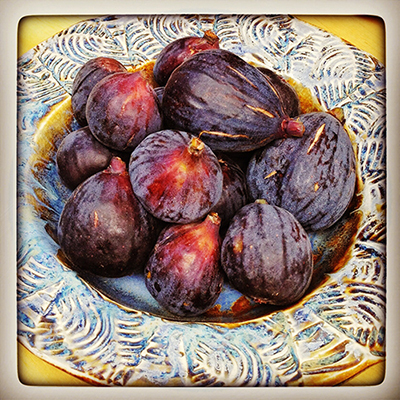 I had never eaten fresh figs before – they were delicious!